Badho Bahu starting 12th September 2016 Every Monday to Friday at 9:30 PM only on &TV, Produced by Sunny Side Up films and Hum Tum Telefilms Pvt Ltd. Meet Television’s most unconventional Bahu – naam Komal hai, surat mein simple hai…bas weight kareeb kareeb quintal hai! She is sugar, spice and all things nice. But will Badho find the love she desires in her husband? Tune in as her journey gets chronicled as Badho Bahu starting 12th September, every Monday – Friday at 9:30 PM only on &TV. Produced by Sunny Side Up films and Hum Tum Telefilms Pvt. Ltd, &TV’s latest offering Badho Bahu, is set against the backdrop of Haryana, known to produce some of the best Indian players across various sports. ‘Hatti-Katti’ Komal who is lovingly called as ‘Badho’ (which means ‘too much’ in Haryanavi) is a spunky yet simple girl who like her size has a very big heart. In her bumbling ways, she lands herself helping most people in her town. While Badho is well known for her bigness, Lucky Singh Ahlawat is the most celebrated wrestler in the town. In what seems like a major celestial controversy, Badho is married to Lucky. What follows next is a sincere effort by Badho to win over her husband… Kyunki Husband and Wife main itni doori hai, ki ab ek love story jaroori hai! 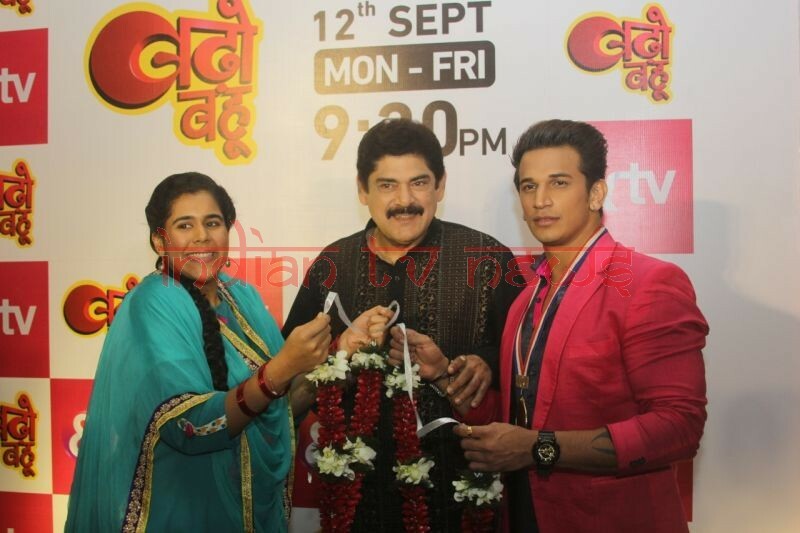 In addition to the stellar cast of Prince Narula, Rytasha Rathore and Pankaj Dheer the show includes names like Jaya Ojha, Arhaan Khan and Sangeeta Panwar. Shot across the beautiful towns of Haryana, the show also boasts of a great production and enthralling storytelling that will have the audiences enthralled!